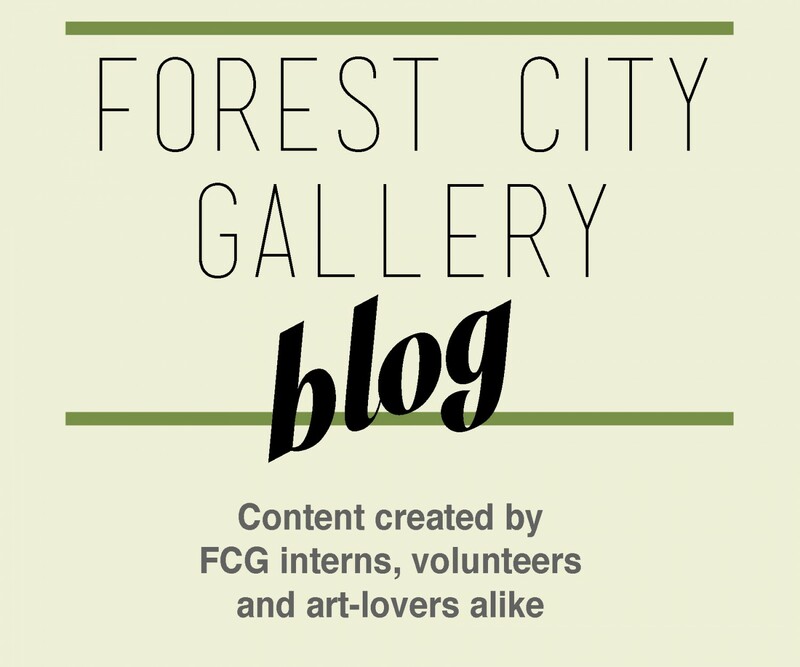 Forest City Gallery’s Intern, Jill Smith, spent a few days contemplating FCG’s minimal, multimedia-based exhibition Interested in others. Below, Jill offers some insights about the complexities (and possibly, the futility) of trying to represent the self through a still, 2-d structure or by the way of ever changing tech-based mediums. Forest City Gallery’s most recent exhibition, Interested in others, presents work by artists Michelle Bunton, Lucas Cabral, Jamie Campbell, Anna Eyler, and Christopher Lacroix & afallenhorse. Going beyond traditional portraiture itself, Interested in others explores a kind of portraiture that is based on identification through means of participation, relationships, and interaction with space. Not only do the works expand upon this different kind of portraiture, but they potentially undermine the effectiveness of one’s physical representation as the traditional mode of identification. We are constantly in battle against ourselves to develop and/or maintain the “ideal” self; a notion present since antiquity. The selection of media and installation-based work in this exhibition demonstrates how internal and external forces are primary influences in how we may present ourselves, as well as the ways in which they may interact with the “ideal” self. Sitting atop a low wooden plinth towards the front of the gallery space is an old-school Panasonic television monitor. While the screen shifts from one hue of red to another quite quickly, the sound of movement across a gym floor can suddenly be heard for a short period of time. Michelle Bunton’s work confronts us with the struggle to not only sustain the physical self, but as the monitor fails to maintain a single colour, we also begin to understand the conflict involved in preserving a persona through media. The online becomes more than just a preservation of the physical being. The online persona becomes an additional representation that is often influenced based on the specific media through which we present ourselves. Thus, this secondary representation through digital media may (ironically) be more authentic in terms of displaying the self than through the simplicity of a traditional portrait. A monitor to the right of Bunton’s Panasonic television displays an animated video by Lucas Cabral. The video captures an animated image of an elderly man in a forest camping site. Alongside this imagery, we hear a male voice reciting what seems to be an invitation to stay with a hunter. However, the audio also evokes a stereotypical dating profile, as the “hunter” looks for a male companion to join him. Cabral’s animation humourosly compares the online constructed persona to that of an animated game – a hunt – as we reflect our identity through participation and relationships. identity. A second monitor on the left wall of the gallery space displays an animated video by Anna Eyler. Eyler has developed various environmental scenes in which strange, geometric shapes evolve and mingle. Both organic and artificial, these forms imitate each other and the environments in which they are seen. While in Eyler’s work we see forms that mimic and respond their environments, the opposite wall presents the results of involuntary effects on our physical representation. Jamie Campbell’s assemblage of photographs explore discolouration and differences in the texture of animal coats. A cat and a lamb are photographed with standard portraiture backdrops. What is offsetting is that the cat has turned away from us and the lamb’s eyes are closed. As eyes are symbolic of identity, we are pushed to fixate on other physical elements that are suggested as a more accurate representation of their portrait. The final work in the exhibition projects a screen split into six recordings of Christopher Lacroix reciting the lyrics to Notorious B.I.G’s “Hypnotize.” As Lacroix attempts to emulate the rapper and further develop himself by practicing over and over, as well as responding to his previous recordings, Lacroix explores portraiture through participation in popular culture. Interested in others emphasizes how wide the array of external factors can be in terms of determining our identity. Both internal and external, our portrait cannot be something solely based on a static image of our physical self. Interested in others occurred simultaneously to Portraits, self and others (it’s complicated), an exhibition at McIntosh Gallery. Ironic and even complimentary, while the exhibition at McIntosh Gallery focuses on the notion of portraiture, Interested in others maybe be seen as an expansion of the influential factors that shape our identity today, and thus presents us a with a representation of contemporary portraiture through timely media.